Yum, yum. I’ve been looking for a good salsa recipe like this! And what do you know, I have a ton of tomatoes and avocado in this little house…I can make it tonight and won’t have to go to town to go shopping! Thanks for sharing. Yum, I think I just might have to try this. Thanks for sharing. I love pico and I know my husband and I will love this. Great appetizer to a Friday night dinner. Looking forward to eating this starting around 5:00 PM. Thank you. btw I heard “fabulosity” on tv last night. It’s definitely yummy. If you do end up making this please let me know what you thought of it. I found a similar recipe years back and this is my “tweaked” version of it. Enjoy your night 🙂 ((and “fabulousity” seems to be everywhere now, they’re stealing my words!!)) HA! Salsa is a favorite and yours sounds delish! I love the idea of putting avocado in the salsa – I usually just make a separate bowl of guacamole. This goes on my list of ‘must try’! Mmmmm. Just saved to my recipe tag in Evernote! Can’t wait to try it. Looks seriously good. 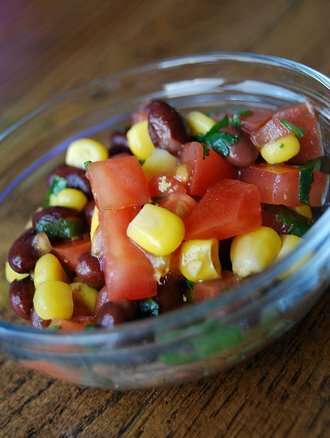 I love fresh salsa in the summer, such a great use for fresh tomatoes. I make something similar! Never thought about using the Italian dressing, though…will have to give that a try. Thanks for sharing (and pointing me to the recipe to begin with)…. Ever think of dancing the salsa while you’re eating salsa?